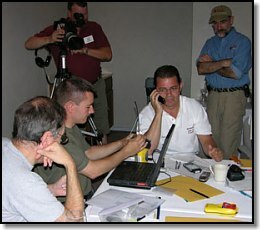 In July 2005 the Equipped To Survive Foundation conducted a second series of real-world performance tests of 406 MHz Location Protocol (GPS enabled) Emergency (Distress) Beacons (EPIRBs and PLBs), with the primary focus on the beacons' integral GPS performance. This evaluation tested McMurdo's beacons that did not reliably provide a GPS location when tested under other than ideal conditions in the First Evalaution and which had since been upgraded, and a new GPS-enabled PLB from ACR Electronics. Reading the Summary of the First Report will help put the results of this second report into perspective and is highly recommended. The conduct of this evaluation required considerable financial and equipment resources beyond that normally available to the Equipped To Survive Foundation. Sponsorship for the evaluation was solicited, both of financial assistance and of gifts in kind. While we again received considerable financial support from the two organizations listed below (and many other non-monetary contributions listed on the linked Sposors page), it was not nearly sufficient to conduct this evaluation. If the evaluation was to be conducted, then it was necessary to find other funding sources. After a frustrating and unproductive search and with no other viable alternatives, it was decided to solicit the manufacturers participating in the evaluation for additional funding necessary to conduct the evaluation. It was our determination in consultation with the other financial sponsors and stakeholders that the value of the testing for the consumer outweighed any issues of direct financial involvement by the manufacturers. They had already participated financially in the initial evaluation and would have done so in this second evaluation by underwriting the substantial cost of the beacons being tested and their participation at the evaluation. ACR Electronics and McMurdo Ltd. contributed $12,600 each to the Equipped To Survive Foundation with the funds to be used to underwrite a portion of the cost of the evaluation. Without this financial support, this evaluation could not have been conducted. Neither company received any additional or special consideration in return for their equal cash contribution. West Marine (Watsonville, California, USA), a major U.S. headquartered, publicly traded marine chandlery chain and purveyor of marine safety equipment, both wholesale and retail. In addition, West Marine hosted the testing logistics out of their headquarters building, provided added logistical support, provided boats and equipment necessary for the marine testing, and assigned employees to assist for the duration of the testing, as well as additional support both prior to and after the actual field testing. BoatU.S. Foundation for Boating Safety & Clean Water (Alexandria, Virginia, USA), a non-profit 501(c)(3) organization that creates education and outreach campaigns, researches issues and products, and helps boaters and user groups learn specific actions they can take to be safer and better stewards of the environment while boating. Click here for a complete list of sponsors and donors including contributors of equipment and assistance, without which this evaluation could not have been conducted. Invitations were also sent out to numerous Search and Rescue-related organizations and industry. The U.S. Coast Guard Office of Aviation Engineering authorized the Aviation Life Support Equipment Manager and an assistant to participate. Captain Eric Knott, Director of Training / Commercial and Agency Sales at Landfall Navigation, joined us as an independent observer. Landfall Navigation is a dealer for both ACR and McMurdo beacons and other products. His independent report is included as Appendix 5 of the full report. The Equipped To Survive Foundation invited a number of interested parties to observe and participate as guests of the Equipped To Survive Foundation. Mr. Peter Forey of Sartech Engineering Ltd (Surrey, United Kingdom) provided the use of two TSR406 406 MHz beacon receivers at both the initial and this second evaluation and also served as an "independent observer" to McMurdo's self-test of their beacons. Forey is a dealer for ACR , McMurdo and other beacon manufacturers, as well as a manufacturer of beacon replacement batteries and beacon test equipment that are sold to the entire industry. Mr. George Lariviere of Whiffletree Corporation (Marshfield, Massachusetts, USA), the U.S. distributor for WS Technologies, donated the use of two WS Technologies BT100A 406 Beacon Testers when the manufacturer was unable to participate again this year due to prior commitments and was invited to attend to operate the testers. Lariviere has previously worked for a sister company beacon manufacturer to ACR, currently consults for a sister company beacon manufacturers to ACR and is a distributor in the U.S. of McMurdo's non-survival related marine electronic products. Readers are referred to the Background Information for details about how the beacons function and the COSPAS-SARSAT system. The home page for the first evaluation contains links to both a Summary and the full report of the first evaluation. Information in the first evaluation may be helpful in putting this evaluation into perspective and will also provide some history regarding the controversies that were the genesis and result. This evaluation of 406 MHz Location Protocol Emergency Beacons was limited in scope to the following two beacon manufacturers; ACR Electronics (Ft. Lauderdale, Florida, USA – a subsidiary of Cobham PLC, United Kingdom) and McMurdo Ltd. (Portsmouth, United Kingdom – a subsidiary of Chemring Group PLC, United Kingdom) who produce beacons approved for the U.S. market and which are also sold worldwide. This evaluation was primarily concerned with the self-locating performance of these beacons in real-world conditions and not the beacons' performance vis-�-vis COSPAS-SARSAT or other regulatory standards, per se, nor for the most part any other specific performance parameters of the beacons except those few others specifically included. 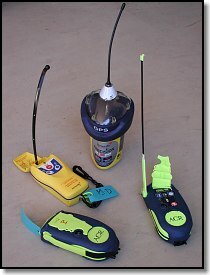 Beacons were divided into types; EPIRB (Emergency Position Indicating Radio Beacon, a marine distress beacon) or PLB (Personal Locator Beacon for personal use on land or in the maritime environment) and by whether they were off-the-shelf consumer beacons or a prototype design.� All beacons tested in this second evaluation use an internal GPS source for self-location (the ACR PLBs offer the option of interfacing with an external GPS receiver, but we did not test that capability).� While no beacon tested performed flawlessly, all the beacons appear to provide a reasonable level of self-locating performance, a substantial improvement over the first evaluation. All the beacons tested appear to provide the minimum acceptable level of distress alerting performance expected from conventional, non-location protocol 406 MHz emergency beacons. NOTE 1: The ACR� �AquaFix 406 GPS I/O Personal EPIRB� is identical with regards construction, operation and coding with the ACR TerraFix GPS I/O PLB and AeroFix GPS I/O Personal ELT (all of which have the same model number) and the results herein also encompass those models as well. NOTE 2: The ACR �Prototype based on Model PLB-200 GPS I/O� PLB incorporated hardware, software and mechanical differences from the current PLB-200 that ACR reports may be incorporated into future production beacons once appropriate approvals are obtained. Externally, the beacons appeared identical to the production AquaFix beacons tested and were identified with a "P" handwritten in indelible ink on the cover. The production ACR beacons were literally off-the-shelf beacons from West Marine stock, taken from their warehouse and store shelves. The prototype ACR beacons were shipped direct from ACR. The McMurdo beacons came from a variety of sources. Some beacons were literally off-the-shelf beacons from West Marine and Landfall Navigation stock, taken from their warehouses and store shelves.� In addition, owners of beacons that had been upgraded by McMurdo as part of the upgrade campaign resulting from the first evaluation were solicited to provide their beacons for the evaluation. These beacons had to have been upgraded prior to the participation agreement being signed by McMurdo. This solicitation was made via a number of online boating and aviation forums and those participating received a new McMurdo replacement beacon of the same type as was provided. Equipped To Survive Foundation and West Marine covered all shipping expenses. It should be noted that McMurdo was opposed to the inclusion of these field upgraded consumer beacons in the evaluation, and requested that if we did include them they wanted us to also include ACR beacons from the field as well.� McMurdo stated that its concerns over the inclusion of consumer owned beacons were due to the fact that there could not be any confidence as to the condition of such beacons due to possible rough handling, poor storage etc., and it represented a disparity between our trials beacons and those from other manufacturers. The Equipped To Survive Foundations position was that these field upgraded beacons represented a uniquely modified and assembled beacon that should be tested. Had we the resources to do so, we would have tested a complete set of field upgraded beacons as well as off-the-shelf beacons, but that was not possible. Instead, we used some of each. Each beacon comes with a frangible seal that indicates if it has been switched on and as long as the seal was intact, we could reasonably assume that the beacon had not be used or tampered with. We saw no reason to solicit ACR beacons from the field as they were not uniquely modified. Beacons for the test were shipped to West Marine. The source of the beacon was recorded and the beacons sequestered in a secure area. For field-upgraded McMurdo beacons secured from customers, a replacement beacon was sent. In order to ensure commonality of all the data recorded, all Equipped To Survive recorded time data was recorded as UTC (Universal Coordinated Time, still commonly referred to as GMT, Greenwich Mean Time) with time synchronized using the time supplied from the GPS receivers. Multiple sources for receiving and recording locally the 406 MHz beacon transmissions were used in order to ensure back-up capability. Sartech Engineering Ltd provided two model TSR406 406 MHz receivers. 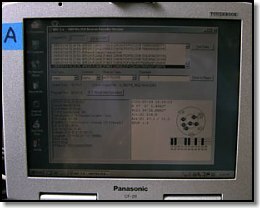 The Sartech receivers were hooked up to Panasonic CF-28 Toughbook computers. Because the computers' batteries would not last for an entire day of testing, a man-portable Honda EU1000i Generator/Inverter was used. Bob Dubner of Dubner International wrote an update to his original data acquisition program from the first evaluation that took the serial output from the receiver and translated it into plain English so that the Beacon ID and any GPS-derived location information transmitted could be read. This was displayed in real time on the computer display upon receipt of each data burst from a beacon. Also saved with this information was a date and time stamp from the computer, operator-inputted scenario information and any added comments inputted into the comment field. 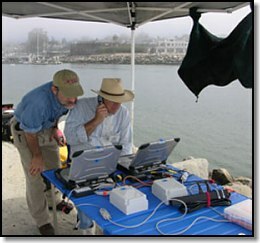 In addition, each computer was also connected to the serial NMEA output from a GPS receiver (Garmin GPSMAP 296 with remote active antenna and GPSMAP 76) using a 50 foot cable. Dubner's BDC program converted this data to a real time graphic display showing the relative location of the GPS satellites in view, their approximate power levels and the actual GPS location duplicating the format found on the Garmin receivers as well as the HDOP (horizontal dilution of precision) of the GPS constellation. This information was recorded every 5 seconds during data acquisition. Also incorporated into the BDC program was a timer that was manually activated upon initial activation of the beacon and which would then record elapsed time for each data burst from the beacon, providing the total elapsed time from start until a GPS derived location was transmitted. Finally, on each reset, the computer automatically reset the clock to UTC time based on the data input from the attached GPS receiver. Wiffletree Corporation provided two WS Technologies Model BT100A 406 Beacon Testers. These provided essentially all the functionality, as well as added data parameters, of the aforementioned Sartech receivers and computers together, integrated into a handheld Dell Personal Digital Assistant. The built-in antenna had a range of 10 meters. A second RIB was enlisted to carry these testers. These units recorded data on Secure Digital memory cards and this data was then later transferred to a computer. Each data burst resulted in an HTML page of formatted data, saved with its date and time stamp. File names were coded to provide scenario, manufacturer, and model of the beacon and receiver I.D. Dubner wrote a program that extracted the data from the thousands of HTML files and combined it with the date and time stamp and the decoded file name to output to a results database with fields equivalent to the other data recorded. As a back up to the computer recorded data, all data was also manually recorded on waterproof (Rite-In-The-Rain) laser printed data sheets with a waterproof pen. To maintain consistency, accuracy and ensure independent recording of manually recorded data, all of the hand-written data recording was accomplished by a single West Marine representative. As a back-up to the GPS data recorded by the BDC program, we manually recorded the number of satellites being received by the GPS and their signal strength using a water-resistant Olympus Stylus 300 digital camera to photograph the GPS display. The water-resistant camera could be safely taken on board the life raft during those maritime scenarios, without risk of damage. The camera also saved in the individual image metadata files the date and time the image was taken. For data reduction purposes, these images could be printed out with this included metadata date and time stamp to produce a reference that could be manually integrated into the results database if neccessary. A candid digital photographic and digital video record of all beacon tests by the Equipped To Survive Foundation professional photographer and videographer, including preparations involving the beacons, was made for documentary purposes. The off-the-shelf and field-upgraded beacons were recoded to test protocol coding by their respective manufacturers' representatives while being witnessed by all observers and participants. The beacons were recoded to IDs from a list previously supplied by the manufacturers, which had been sent to NOAA 60 days prior pursuant to their rules. This allowed NOAA to ensure that no actual alerts would be issued and that their software would record the data received from these test protocol coded beacons, which would otherwise be ignored by the system. The prototype beacons from ACR were already test protocol coded and did not have to be recoded. Multiple beacons were required of each model to ensure that each test beacon started on equal terms, from what is known as a "cold start." This is based on the assumption that the beacon will likely not have been activated prior to use and thus will have no GPS information, ephemeris data or the almanac in memory, which could possibly shorten the time to acquiring a location. Before the GPS can derive a location, it must download from the satellite certain data. This takes a period of time and can theoretically significantly impact time to acquisition and even if acquisition is successfully accomplished in the time available. If that data has already been downloaded and held in a memory, it is likely that the GPS will acquire a location faster or acquire when it might not otherwise. Manufacturers claim that their beacons do not retain this data after being shut off, but as there is no practical way for us to independently confirm this, and there are technically ways in which it could be accomplished even with no power, the only way to ensure a cold start is to use a fresh, un-activated beacon for each test. 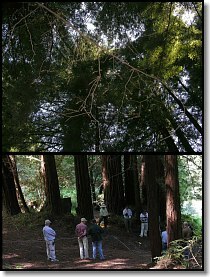 The field testing was conducted in and around Santa Cruz, California, USA. The same sites were used as were used in the first evaluation to retain commonality and provide some degree of comparability. 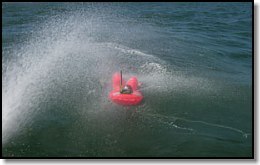 A RIB (Rigid Inflatable Boat) with high pressure/volume water pump and an attached fire hose was used to simulate rainfall and adverse weatehr conditions. One of the Coast Guard rescue swimmers used the fire hose to maintain a stream of water over the beacons or life raft for the testing. The draft field test protocols for this evaluation were initially based on those used in the original Key West Test. They were then refined and additional tests added for the first evaluation based on input from a variety of industry and government sources and the results of the laboratory tests. Only minor revisions based on experience at the first evaluation were made to the test protocols for the second evaluation, none of these of a substantive nature. Some tests from the first evaluation were eliminated that weren't specifically GPS performance related. As with many evaluations of lifesaving equipment, this one has been subject to limitations imposed by financial constraints, time and practical safety considerations. Ideally, it would be desirable to test multiple distress beacons of each model in each scenario. The larger sample size would serve to mitigate the effects of a random failure that might not be typical. The high cost of the distress beacons made this approach prohibitive. By the same token, it is generally accepted that lifesaving equipment must be exceptionally reliable. Because failure can be fatal, consumers have a reasonable expectation that lifesaving equipment will work the first time, every time. Lifesaving equipment failure is not considered an option by the consumer. As such, any beacon failure must be considered unacceptable and this mitigates the potential adverse effects of testing only a single distress beacon of each model in each scenario. The time necessary to conduct the testing also limited the number of beacons that could be tested, as well as the number and scope of the scenarios to be evaluated. Additional time also translates to additional financial costs, not only for the evaluators, but also for the support personnel and organizations and the manufacturers who participated. The full week spent testing was the practical limit, and even then some participants had to cut their attendance short. Ideally, it would be desirable to test the GPS-enabled distress beacons under controlled conditions in a GPS simulator to assess the GPS performance of the beacons under a variety of identical adverse conditions; however the cost of doing so was beyond the resources available to the Equipped To Survive Foundation. Real world testing introduces numerous variables beyond the control of the evaluator. In the case of this evaluation, significant potential variables included weather, sea conditions, and GPS satellite visibility. All the manufacturers of the beacons tested signed on as participants, implicitly acknowledging that these variables were within accepted norms, and would not adversely impact the results if the evaluation were to be conducted in substantial accordance with the draft test protocols provided to them. These distress beacons are meant to be used in extremis, often under the least favorable conditions of weather and, in the case of marine use, extreme sea conditions, often the cause for their necessary use by survivors. This evaluation was, for both practical and safety reasons, limited as to what tested environmental conditions could be experienced. Weather conditions were mild. 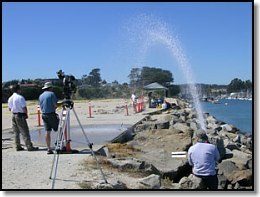 Rainfall or exposure to drenching amounts of water in a marine environment was simulated for some scenarios, but was moderate, at worst, compared to what might conceivably be experienced under real life-threatening circumstances. 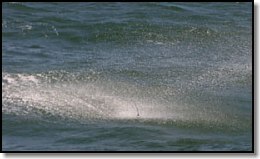 Sea conditions varied from moderate, but unchallenging, at their worst to virtually dead flat seas at times, as noted in the scenario reports. Any failures must be viewed in this light, but the ultimate value of success in these tests must also be tempered by these limitations. The results presented here are for tests of particular beacons. Readers of this report are cautioned that it can be potentially erroneous to extend the self-location results for any particular beacon to any beacons not tested unless the combination of GPS chip, software, GPS antenna and relationship between the GPS antenna, and transmitting antenna are substantially the same due to the complex interactions involved. 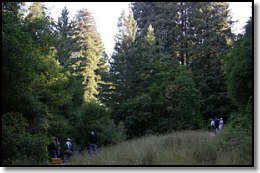 1 For the relocation scenario, the beacons were hand-carried to a new location 400 yards distant to determine if the new location was acquired and transmitted at the 20-minute location update cycle. On jetty with expansive sky view and horizon, sprayed with water to simulate moderate rain. 1 Incorrect Beacon Tested – No GPS in the beacon – see "Beacon Test Anomalies"
2 Due to GPS satellite availability a fair comparison between this beacon's performance and that of the others in the same test could not be made.� Readers are directed to the full report, Inland Scenario Charlie, page 41, for full details. 3 Beacon not tested due to difficulty establishing 3 GPS satellites consistently, decision by ACR representative with concurrence of test principals that since production PLB-200 had acquired, no significant data lost by not testing this prototype in this scenario. Readers are directed to the full report, Inland Scenario Bravo, page 41, for full details. 1. One ACR AquaFix I PLB, Model PLB-201, the model without an integral GPS, was included in the test beacons received from West Marine. Both the box for the beacon and the beacon itself was correctly marked, though this marking is only a checkmark in a box on a side panel and a small sticker on the end panel. Otherwise the box is identical for both beacons. We have been unable to ascertain how this beacon came to be sent for the testing from the store involved or why it was not identified as incorrect at the time of receipt, but on the sheet provided by West Marine of the test beacons received it was incorrectly identified as a Model 200. Subsequently, at no time during the test protocol assignment by Equipped To Survive Foundation personnel, recoding by the ACR engineering representative or during activation or re-activation of the beacon was it identified as being the incorrect beacon. The question was raised in one instance during this beacon's testing as to why this beacon had a different, light colored face (compared to the other ACR beacons), but the ACR representatives' response was that the color of the face was not an indication of anything in particular and may have been a production variance. In fact, it is the most visible difference between a PLB-200 and PLB 201, however the face is hidden when the cover is closed and the difference is not apparent from outward appearances. Nor was this difference in color in these new beacons recognized by Equipped To Survive Foundation attendees. The model number is indicated on the data plate on the underside of the beacon. The cover was not opened during the assignment phase, but was opened during recoding and activation. The end result, as noted in the test results, was an invalid test result for the test in which this beacon was used. After the evaluation, ACR took this AquaFix PLB back for analysis of its failure to acquire and to report on what they found. Identification of the beacon as a Model PLB 201 was made only after the beacon was returned to ACR for investigation of its failure to acquire a position. It appears that the error was initiated with the shipment of the incorrect beacon from a West Marine retail store, but ultimately the failure to catch this error rests solely with those conducting the evaluation. 2. During the test protocol assignment process, it was observed that three McMurdo Fastfind Plus PLBs appeared to have cracks in the case where the battery retention screw is located. 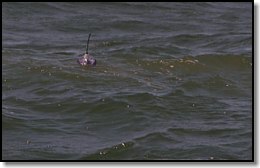 It was determined at that time to avoid assigning these beacons to those few maritime tests where the beacon would be subject to immersion and the crack may have allowed water penetration, resulting in a failure. We had no way of determining if it would or wouldn't at the time. Since the primary purpose of the evaluation was to test the GPS function, this was determined to have been inconsequential in the conduct of the tests. The issue of the cracking would be dealt with separately from the primary issues of the evaluation. Subsequent inspection with a magnifying glass revealed that one of the apparent cracks, the smallest, was only a mark on the case, so that only two cases were actually cracked. After the evaluation, McMurdo took one of these cracked Fastfind Plus PLBs back for analysis and to report on what they found. Appendix 6 includes copies of the instructions provided by McMurdo (as referenced below) for installation of the battery to prevent over tightening. Both PLBs with cracked cases were from field upgraded beacons sent by customers. Our investigation revealed no known instances of abuse of these two beacons, but that necessarily cannot be a definitive finding. During the inspection of the beacons prior to the trials commencing two Fastfind Plus PLBs were observed to have small cracks in the upper part of the case near the lanyard retention / battery retaining point. McMurdo have been unable to replicate the failure mode exhibited by the 2 Fastfind Plus PLBs from the ETSF trials and at this time do not have an explanation for them. Subsequent examination of a total of 373 PLBs showed no further units with this problem. It has been demonstrated that the battery retention screw can be over tightened by a factor of 2 or 3 times and no damage occurs to the PLB. McMurdo provides guidance on tightening this screw both to consumers and internally within its production processes. McMurdo's conclusion is thus that the design of the PLB is fit for purpose and even if the screw is over tightened well beyond McMurdo's recommended torque settings this does not lead to a crack appearing in the outer case of the PLB. At this time we are unable to explain how the cracks came about in the 2 ETSF PLBs and we would recommend that it is worthwhile trying to back track the history of these PLBs to see if there is anything unusual about them, particularly in terms of any rough handling, dropping or adverse storage conditions. McMurdo has instigated an extra inspection process to check for any future evidence of this problem and if further faulty units are found further investigations will be carried out. A copy of McMurdo's full evaluation report is included in Appendix 3 of the full report. While there is no indication that this is an inherent problem, because McMurdo has been unable to determine a cause for the cracked cases we found on Fastfind Plus PLBs and because these were field upgraded units, prudence dictates that customers with field upgraded beacons should probably inspect their beacon(s) for cracking before further use. Since some customers may have purchased their beacons from dealers who had their stock upgraded, all owners of Fastfind Plus PLBs with a serial number of 500-530-2524 and lower should examine their beacons. McMurdo reports that a few units with serial numbers higher than this may also have been field upgraded, so a look by all owners is probably in order. McMurdo retains a record of each beacon produced and its history, so if there are any questions, you can contact McMurdo. 3. During the recoding process, one of the McMurdo Fastfind Plus PLBs was found to fail the self-test and was determined to have a dead battery. McMurdo supplied a replacement battery from a spare PLB they had brought, so that the test could be conducted. Since the primary purpose of the evaluation was to test the GPS function, this was determined to have been inconsequential in the conduct of the tests. McMurdo retained the failed battery for analysis and to report on what they found. They subsequently asked for and received the Fastfind Plus PLB to which that battery was originally fitted to further their investigation. One Fastfind Plus PLB was found to have a flat battery during the initial beacon recoding exercise before the trials began. Investigations have shown that there was nothing wrong with the PLB or the Battery Pack that would explain why the battery was discharged (flat). McMurdo has checked its records and can find no evidence of this problem ever having occurred previously. The cells within the battery have been returned to the manufacturer for investigation, however a report back is not expected for sometime and it is considered unlikely at this time that this will reveal any additional facts or information. It is suggested that we try and track the history of this beacon to see if this might provide any indication of how the battery could have got into this condition. Self testing the beacon prior to going on a trip would have shown up this problem and allowed the user to obtain a replacement unit. 4. During the recoding process, one of the McMurdo Fastfind Plus PLBs would not accept it's recoding. This beacon was replaced in its assigned test with one of our spare beacons. After the evaluation, McMurdo took this Fastfind Plus PLBs back for analysis and to report on what they found. One Fastfind Plus PLB would not program during the initial beacon recoding exercise before the trials began. Investigations indicated that this was due to a dry joint on pin 3 of the membrane which is the Anode connection for the IR programming LED. McMurdo believes that this was a one off isolated incident due to human error during the upgrade process. This problem would not have resulted in failure of the beacon to transmit a distress alert in an emergency. McMurdo has modified its internal process instructions and inspection procedures as a result of this finding to increase awareness of this problem and take extra care in this process in future. It has also advised its partner in the USA upgrading the beacons to implement the same tightened controls. All beacons are tested prior to leaving the facility to ensure they contain a valid distress message. 5. As noted in the test results, one McMurdo Precision 406 EPIRB behaved in an unexpected manner during its test, with the strobe light not functioning for some time after activation and only providing a location after an unexpectedly and anomalously long period of time, though it did eventually generate and transmit a location within the COSPAS-SARSAT allotted time. McMurdo retained this EPIRB for analysis and to report on what they found. 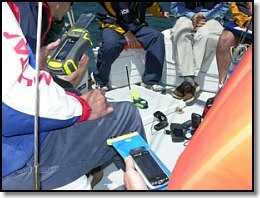 During the sea trials one Precision EPIRB took longer than expected to start transmitting once it was placed in the sea. 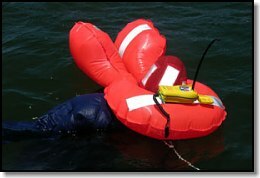 Investigation of this EPIRB could not find any fault with the unit. The sea water contacts on the EPIRB and the battery inside the EPIRB both operated normally and no problems were found with the EPIRB. It can only be surmised that somehow a low level of contamination (a very fine film of grease maybe) got onto one or both of the sea water switch contacts of this EPIRB before the trial and this caused the delayed activation seen during the trial. The sea water switch contacts on the EPIRB were examined when the unit was first received back at the factory but no obvious signs of contamination were evident. It is further surmised that the intermittent activation seen during the first 10 minutes was due to this film and that movement of the EPIRB in the sea was then sufficient to break through this barrier after 10 minutes which thus then activated the EPIRB. Although there was a slight delay the beacon did work as intended and would have sent a distress alert in a real emergency. 5. During the Inland Scenario Gulf Phase testing of the ACR AquaFix PLB, two invalid tests were experienced before a valid and successful test was conducted. On the first invalid test, the beacon was incorrectly turned off approximately 1.5 minutes earlier than it should have been. On the next attempt, a spare beacon was uncovered prematurely due to incorrect GPS receiver timing information provided by the ACR engineering representative. Subsequently, the correct timing sequence was determined and as a result of canceling one of the tests, allowing the availability of another test beacon, this Inland Scenario Gulf test was run again and the beacon received a position as reported in the test results. 6. 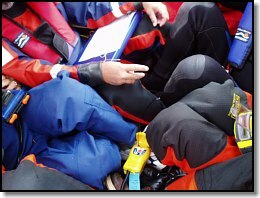 ACR requested they receive the AquaFix PLB that failed to acquire a position during the Maritime Scenario Foxtrot (in life raft with simulated rain) test for analysis and to report on what they found and it was shipped to them. Note that in a retest on the Baseline jetty location it acquired a location in 1:42 indicating the GPS reciever was functioning. The unit, SN #61, manufactured March 2005, programmed test protocol, with HEX ID: 2DDC64807AFFBFF has a GPS receiver with sensitivity measured at 4dB worse than normal. This reduced sensitivity could easily explain why it would struggle under certain adverse conditions to acquire a GPS position lock. Doug, the potential for using receivers with marginal sensitivity is something we observed last year, (I believe you and I have talked about this previously, perhaps at RTCM?). What we've learned is that in every production lot the sensitivity of the receivers follows a traditional Bell curve with the majority of units clustering near the nominal and with a few units performing at the fringes. This is unavoidable without an effective screening mechanism. It would appear that of all the (ACR) GPS enabled EPIRBs and PLBs you've obtained on the market in your first test and now in this second test that this is the first marginal receiver you've come across. Having discovered this issue, we have addressed it by buying a GPS simulator in April 2005 in order to have the ability to measure GPS receiver performance. We require that our GPS receiver suppliers provide us with units that meet our performance specification. With our GPS simulator we can test/measure/screen units to insure that they meet our performance specs. We can say with confidence that the units we've built since late-April/early-May time frame fall within a much tighter performance specification than what GPS vendors typically provide to their customers. To our knowledge we are the only 406 Beacon manufacturer supplying units to the recreational market that has invested in GPS simulator technology and that has the ability to screen receivers to insure their performance capability. A further comment: we are working with GPS receiver manufacturers, providing them with our test data and unique performance requirements, to upgrade the quality of GPS receivers that we purchase. We now have prototype receivers that are better than any we've found in the general market. These prototype GPS receivers were used in the prototype beacons in your recent test. I'm sure we'll be commenting more on their performance once we receive your report. Bottom line: The issue of GPS performance is one we take very seriously at ACR and have since day one. It is not something we take for granted nor have we accepted the status quo. We continue to lead the industry by identifying issues and solving them before they become known to others. The self-locating (GPS) performance of the beacons in this evaluation appears to be satisfactory for the most part under the circumstances that one would normally expect to receive a GPS location from a mid-level performance GPS handheld receiver without an amplified antenna. Under most moderate adverse environmental conditions a GPS-derived location will be reliably transmitted by these location protocol beacons. 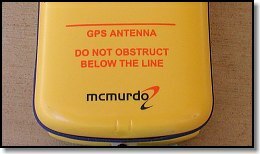 The unsatisfactory self-locating (GPS) performance of the McMurdo beacons that was evident in the first evaluation appears to have been satisfactorily addressed by McMurdo's free upgrade program. Anyone who owns a McMurdo beacon that has not yet been upgraded should do so immediately. In the opinion of the authors, the results of this test validate the functionality and desirability of a GPS-enabled beacon's added capability as a means of enhancing survivors' chances of rescue. While neither a panacea, nor without notable limitations, the current state of the art in Location Protocol 406 MHz Distress Beacons appears to be capable of improving the likelihood of a successful rescue by potentially shortening response times in many likely survival scenarios. The location information generally will allow for quicker dispatch of SAR resources and the more accurate location, compared to a Doppler-derived location, reduces the search area with resultant likelihood of quicker detection of survivors when SAR resources arrive on scene. Consumers seeking a survivability advantage would do well to consider self-locating beacons (those with GPS) as an option. Based on ACR's remarks regarding the inherent variability of GPS receiver sensitivity in commercially available GPS receivers, additional research with GPS receiver manufacturers and our own experience using handheld reference GPS receivers which provided inconsistent performance between identical units, some GPS receivers installed in some beacons may not perform as well as most other identical units unless efforts are made on the part of the beacon manufacturer to ensure a uniformly higher minimum level of performance. We have no practical way of determining the overall effect of this on performance in any particular survival circumstance. 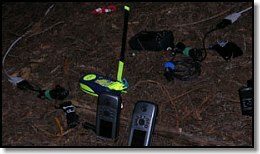 The few anomalies experienced in this evaluation bear out the reality that even electrically operated emergency signaling devices manufactured and tested to very high quality standards may still be less than 100% reliable in the field and that it remains good practice that users should always self-test beacons prior to embarking upon any excursion or being involved in any situation where they may have to be relied upon in an emergency. Consumer expectations regarding the performance of integral GPS beacons may be shaped by their personal experience with handheld GPS receivers or GPS installed in their automobile, which can prove to be an unreliable comparison. Users of the popular-priced Garmin eTrex class of GPS receivers can expect these beacons to perform comparably, meeting their experiential expectations. The beacons tested are not as likely to reliably acquire a location when a higher performance GPS receiver with an amplified antenna acquires a location with only 3 satellites in view and locked on. A consumer's experience using this class of handheld GPS is less likely to be indicative of a beacon's acquisition performance with the current internal GPS receivers and antennas used. Results from the gorge test suggest that Doppler location can be achieved even with a very limited sky view, though it may take multiple LEO satellite passes. While it may be possible to acquire a GPS location if there is a fortuitous confluence of sufficient GPS satellites visible during a period of time while the GPS receiver is operational, this cannot be counted upon in such circumstances. Alert transmission time via COSPAS-SARSAT geostationary satellite appears to meet expectations of 3 minutes or less in most circumstances, but it extended to 5-10 minutes in some scenarios tested when the initial location transmitted was not adequately strong and thus only a "coarse" instead of "fine" location was received, which is of more limited value. It should be noted that claims that the "alert time is typically 3 minutes or less" may be misleading to many consumers who would not be knowledgeable enough to differentiate an alert from an alert with a fine location, nor does that take into account the added delay that can occur between the first transmission received and actual transmission of the alert to the Mission Coordination Center. An integral GPS source offers advantages in weight, package size and ease of use over an external GPS source for PLBs that makes it a desirable option, particularly if the added cost is not too significant. In the opinion of the authors, a beacon that incorporates both internal and external GPS capabilities provides additional advantages under some limited circumstances, although the operator would have to have an advanced level of knowledge and have additional equipment, a high performance GPS receiver available and interface means, to take advantage of this capability. External GPS does have a place in some marine and aviation beacon installations where it receives a constantly refreshed location from an onboard GPS receiver and thereby the location is immediately available upon activation and not dependent upon an integral GPS acquiring a location. All the beacons tested include a self-test of the GPS receiver. The ACR beacons provide the capability to confirm a successful location acquisition. Beacons that provide a means to test the GPS receiver including acquisition of a GPS-derived location provide added assurance that this capability will work when deployed in a survival situation. However, a beacon that allows comparison of the GPS derived location with a known location would provide an additional assurance that the GPS receiver is functioning correctly. Consumers cannot rely solely on regulatory means to ensure adequate performance and independent real world testing is essential to ensure that consumers are protected and have the information required to make a knowledgeable purchase decision. Failure to enable this sort of consumer testing can unnecessarily imperil the lives of consumers relying upon these beacons. Considerable advances have been made in the past year towards improving the COSPAS-SARSAT standards governing these beacons to better ensure their adequate function in real world conditions. New COSPAS-SARSAT standards have been developed addressing a number of Recommendations made in the previous report. COSPAS-SARSAT deserves recognition for their quick action. However, the revised standards approved by this international body do not adequately address some issues, particularly GPS minimum performance standards. Standards writing bodies such as RTCM should continue to work towards robust real-world related performance standards for integrated GPS receivers in these beacons with controlled conformity testing using a GPS simulator. Preferably, such standards will eventually be adopted by COSPAS-SARSAT providing all consumers worldwide with a higher standard. COSPAS-SARSAT standards should be amended to require a fully functional self-test for GPS location acquisition of any included GPS receiver. The existing required beacon self-test fully functionally checks the transmitter circuitry, including sending a test burst. Ideally, an additional GPS self-test should also be provided for and should include transmission of the location so that with the proper equipment to receive and decode the self-test data burst, the accuracy of the GPS location can also be checked against a known position. A proposal to allow inclusion of such a capability was presented to COSPAS-SARSAT, but no action was taken this year. COSPAS-SARSAT should revise or provide an alternative to the existing location protocol long message format to allow for transmission of location data resolution to at least 1 second. The current rounding of the location data deprives the search and rescue system of improved location resolution that already inherently exists within the GPS capability, but which cannot be taken advantage of due to the artificial limitations of the existing protocols. 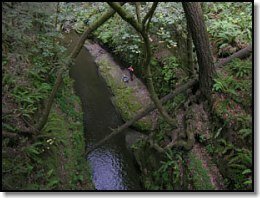 Improved resolution can only serve to improve chances for a successful rescue. The beacon manufacturing industry or an appropriate independent standards setting body should develop voluntary objective performance standards and ratings for which cost-effective tests can be conducted which will accurately predict and represent the level of self-location performance consumers can expect from a particular beacon under particular defined real-world conditions of reduced GPS satellite reception on both land and in the marine environment. ACR's implementation of improved processes to ensure consistent higher minimum GPS receiver performance seems to be a reasonable attempt to address an inherent variability in commercially available GPS receiver performance that could adversely affect some few users. Efforts to mitigate this variability and ensure a uniformly high level of GPS performance by manufacturers and appropriate independent standards setting bodies should be encouraged. Users of emergency beacons, and any other electrically operated emergency signaling devices for that matter, should always self-test beacons, and ensure the functionality of other electrically operated emergency signaling devices, and also physically examine the devices for damage prior to embarking upon any excursion or being involved in any situation where they may have to be relied upon in an emergency as well as after any abuse, intentional or not, that the beacon may experience. Care should be taken when purchasing a beacon with integral GPS that you have received the correct beacon. In the case of the ACR PLB packaging, it is nearly identical for a non-GPS equipped beacon and if we received an incorrect beacon and failed to identify it, so could a consumer. Retailers are urged to make an extra effort to ensure that the correct item is delivered to the consumer. Manufacturers are urged to clearly and explicitly mark their packaging to reduce the opportunity for confusion between non-GPS and GPS-equipped beacons. 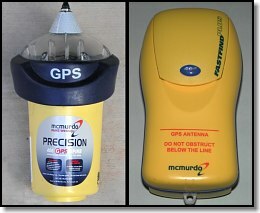 McMurdo's packaging clearly differentiates between GPS and non-GPS equipped beacons. Operating instructions on or attached to the beacon should be improved. This is particularly critical in the case of the PLBs. In the opinion of the authors, operational instructions should be given the highest priority space on the beacon and should be as large and as distinct as possible. Marketing and cosmetic appearance considerations should not override the desirability of presenting essential operating instructions in the most effective manner possible when lifesaving is the aim. Manufacturers should provide better operating instructions on or attached to the beacon that would guide a user to more readily identify a failure to acquire a location, and which would guide the user in maximizing self-locating performance when such opportunities exist and would be prudent for the user. 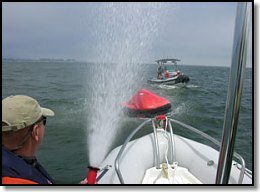 Operating instructions on or attached to the beacon should emphasize the importance of GPS antenna orientation when this is an inherent design factor for optimum performance, the importance of not blocking the antenna with the body or body parts, and for marine operations, the importance of keeping the GPS antenna clear of the water if possible. The location and preferred orientation of the GPS antenna should be clearly marked. In instances where the GPS antenna might likely be covered by a survivor's hand(s) while being held in a foreseeable manner or by foreseeable means of securing the beacon to a person or object under foreseeable survival circumstances, a warning against doing so should be clearly displayed. McMurdo has provided a practical and effective integration of some of these suggestions in their upgraded Fastfind Plus PLB. Airborne search and rescue operators should be encouraged to accelerate the replacement of outdated direction-finding equipment limited to 121.5/243 MHz with direction finding equipment that will also operate on 406 MHz and that will automatically decode the data burst for direct reading by SAR resources on scene. Industry should be encouraged to develop inexpensive, compact handheld 406 MHz direction-finding and decoding equipment that can be fielded by volunteer search and rescue operators and local fire and rescue agencies with limited budgets. In recognition that EPIRBs will be often be used inside an enclosed survival craft or occupied space, standards or regulations requiring a strobe light should provide for the optional termination of the strobe light by the operator. Manufacturers are encouraged to develop a practical means by which the beacon can provide the owner an indication of the state of charge of a beacon's battery. ACR incorporates an "Electronic Witness Seal" on the PLB-200 that measures the current drawn while performing a self-test, GPS acquisition test, or any other operation of the beacon; and at a predetermined total indicates to the user that the battery should be replaced as, by their calculation, any further use might reduce battery capacity below that needed to met the minimum operating specification of 24 hours at -20C. While not a direct indicator of the state of charge of the battery, this is a practical alternative. Government agencies and regulatory bodies involved in operation and regulation of these beacons and the COSPAS-SARSAT system should establish an ongoing means to study the actual effects of alerts with self-location information on the outcome of distress situations with regular public reports that can be compared to alerts lacking self-location information. NOAA and other government agencies involved in the operation of the COSPAS-SARSAT system should investigate the apparent anomalies experienced during these tests that could possibly be attributed to faults in the system. There is an obvious and urgent need for government agencies involved in operation and regulation of these beacons and the COSPAS-SARSAT system to develop a more expedient means by which real world testing of these beacons can be conducted with a minimum of bureaucratic hurdles. It should be possible for any legitimate organization representing consumer interests to schedule a test of beacons on relatively short notice. For relatively small numbers of beacons, the use of operationally coded beacons should be facilitated, as the need to use test protocol-coded beacons is a very substantial impediment to the independent testing of these beacons. Delay in receiving system performance data (satellite data) is detrimental to the expedient and effective testing of 406 MHz emergency beacons with the potential for devastating data loss and potential for invalidation of testing that, at best, is difficult and expensive to organize. This evaluation experienced just such a loss of irreplaceable data on one test. It should be a priority for the government agencies involved to enable testing organizations to receive immediate automated feedback, perhaps via the Internet, of the system performance during a test. For those interested in the nitty gritty details of the testing and results, the 113-page full report, "Second Evaluation of Location Protovcol Distress Beacons", is available in PDF format (5.7 MB). 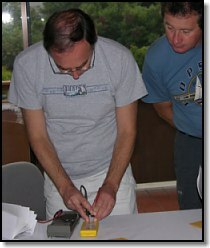 Doug Ritter, Executive Director of Equipped To Survive Foundation, organizer and director of this evaluation and principal author of the report has had an ongoing professional and journalistic relationship with most 406 MHz beacon manufacturers for some time, with manufacturers providing "dummy" beacons for display and photographic purposes. At various industry events, beacon manufacturers' representatives have treated Mr. Ritter to meals. Both ACR Electronics and McMurdo Ltd. have provided PLBs for Mr. Ritter to give away as door prizes during non-paid survival equipment presentations promoting 406 MHz PLB usage to various consumer groups. Mr. Ritter has, from time to time, recommended beacons from all the tested manufacturers to consulting clients and at times the beacons have been purchased via his contacts with the manufacturers or a manufacturer's distributor. The Equipped To Survive Foundation has, prior to 2005, received 10% of sales of both ACR and McMurdo PLBs made on the GetRescued.net retail web site operated by Pulver Technologies, Inc., which also hosts the Equipped To Survive web site. BoatU.S. Foundation, which made a financial contribution towards the conduct of this evaluation, has received price consideration from ACR for beacons purchased for their EPIRB rental program. 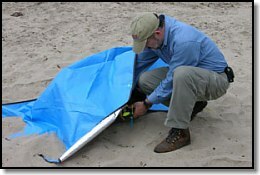 West Marine, which made a financial contribution towards the conduct of this evaluation, provided personnel and resources for the evaluation, and which provided some of the off-the-shelf beacons for evaluation, has sold both ACR and McMurdo beacons and other products produced by these companies. West Marine is an authorized service center for ACR. Landfall Navigation, which provided some of the off-the-shelf beacons for evaluation and sent an observer to the evaluation, has sold both ACR and McMurdo beacons and other products produced by these companies. Both ACR Electronics and McMurdo made an equal financial contribution towards the conduct of this evaluation as well as providing replacements for the test beacons. Pursuant to the agreements with the manufacturers as another inducement to participate, these manufacturers have also be given a preview of the draft report and were invited to offer a response if desired. Equipped To Survive Foundation was not obligated to either respond or to edit the report, but agreed to publish any such response in the report. © 2005 Equipped To Survive Foundation, Inc.